been using a lot of salmon lately, but that’s what happens when you get it for a ridiculously low price! 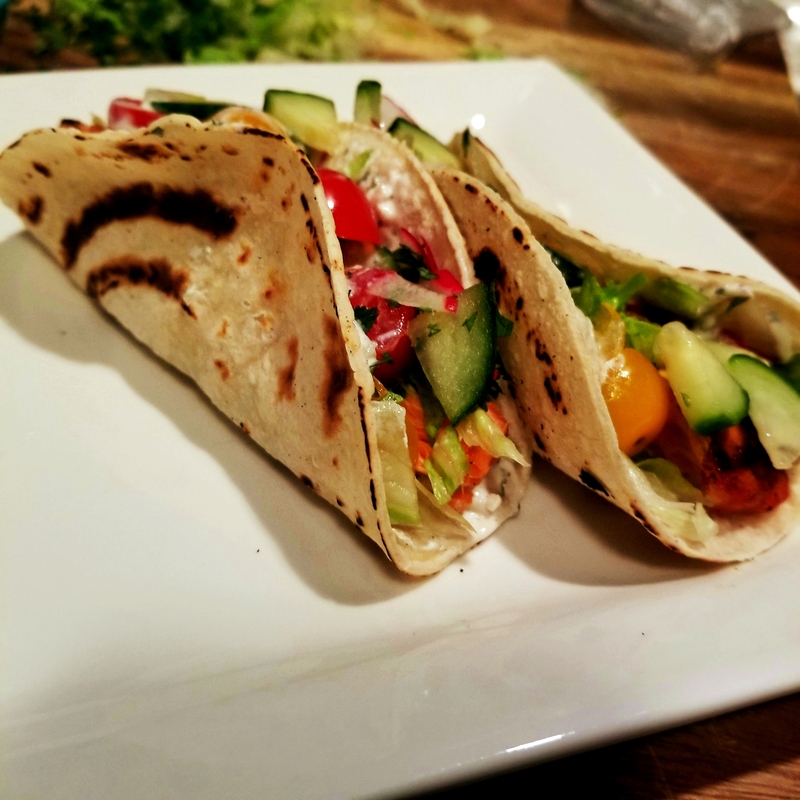 ), so I decided to make it tacos instead. I LOVE a good taco. When I eat out at any Mexican restaurant, one of my orders is ALWAYS a Carne Asada Taco. My night would not be complete if I didn’t have one. Well, fast forward to the other night when I was craving one but didn’t want to go out and buy one. I almost cried because I had no beef at home, not even ground beef! Luckily, I had salmon on hand so crisis averted! 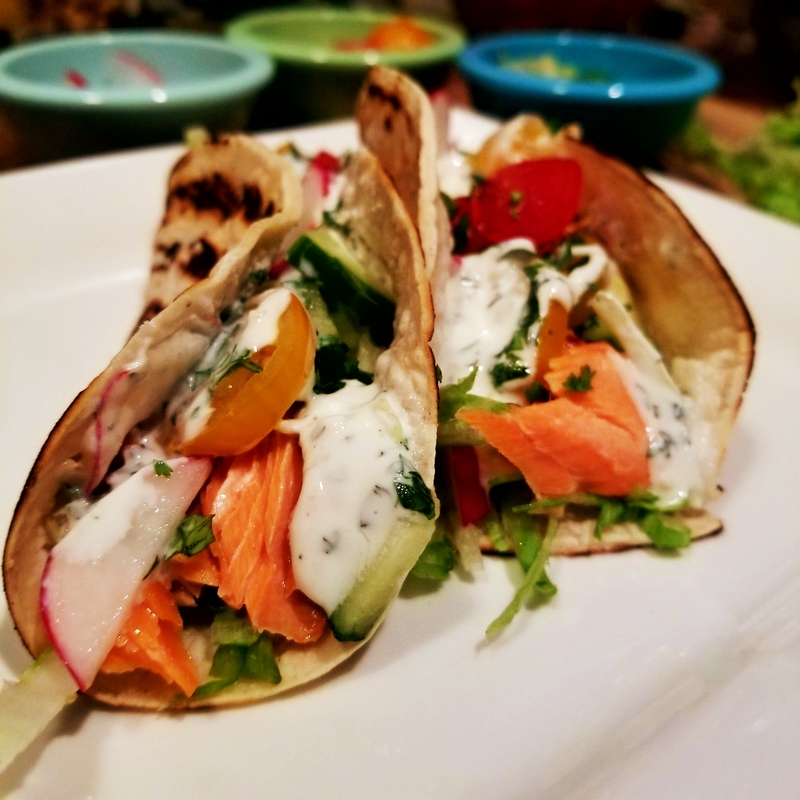 On a plate tortilla, place lettuce on the bottom and salmon on top. Top the lettuce and salmon with cherry tomatoes, cucumbers, cilantro, and red radish. 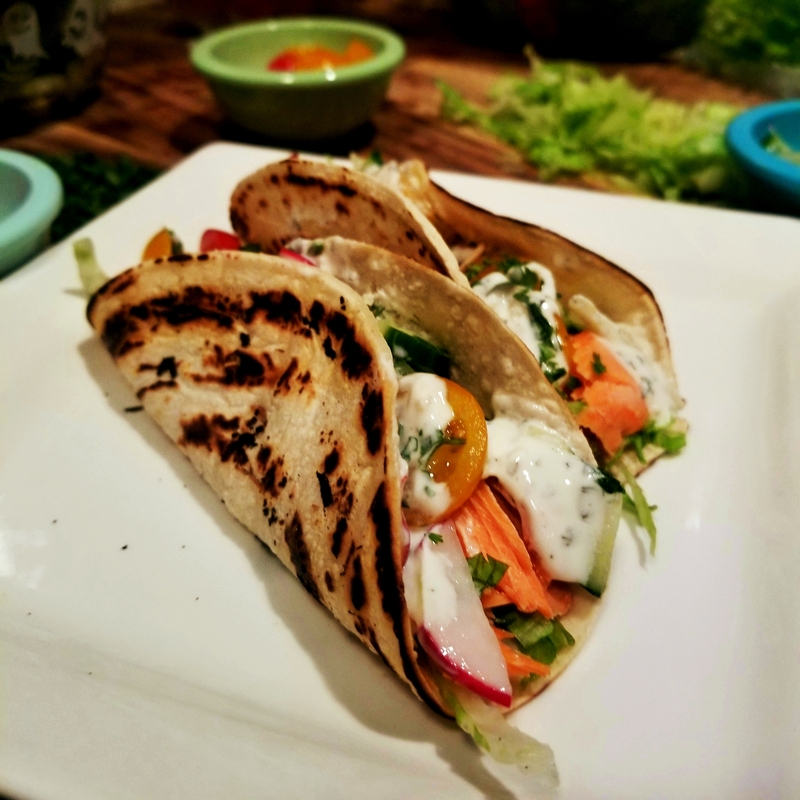 Top with Cilantro Lime Sour Cream Sauce.